A fresh face has been added to the Pirates of the Caribbean franchise, which is now over a decade old believe it or not. A couple of weeks ago, we got word that a number of young actors were in the running to join Pirates of the Caribbean: Dead Men Tell No Tales in the coveted new role of Henry, a British soldier. The shortlist included The Fault in Our Stars standout Ansel Elgort, The Giver star Brenton Thwaites and others, but now it appears that the victor has been selected: Thwaites. The 25-year-old Australian actor had two high-profile roles this year with Maleficent and the dystopian adaptation The Giver, in addition to the sci-fi indie The Signal, and now he’s in talks to join one of the most popular franchises around. More after the jump. The Wrap reports that Thwaites is currently in negotiations to join the cast of Pirates of the Caribbean 5 opposite Johnny Depp, who is reprising his role as the loopy Captain Jack Sparrow. Kon-Tiki directors Joachim Rønning and Espen Sandberg are taking the helm this time around, and Javier Bardem is also in talks to take on the pic’s villain role, a ghost pirate. Adding new blood to the Pirates series is essential. We learned with Pirates of the Caribbean: On Stranger Tides that Jack Sparrow is best served in smaller doses as a supporting character rather than the film’s lead, which is why Orlando Bloom and Keira Knightley‘s characters were vital to the first three movies’ success. I’ll be curious to see if Depp’s part is toned down just a tad for this next film, or if he’ll be in nearly every scene as he was in the dreadful On Stranger Tides. Pre-production on Pirates 5 is currently underway in Australia with production set to begin in January. 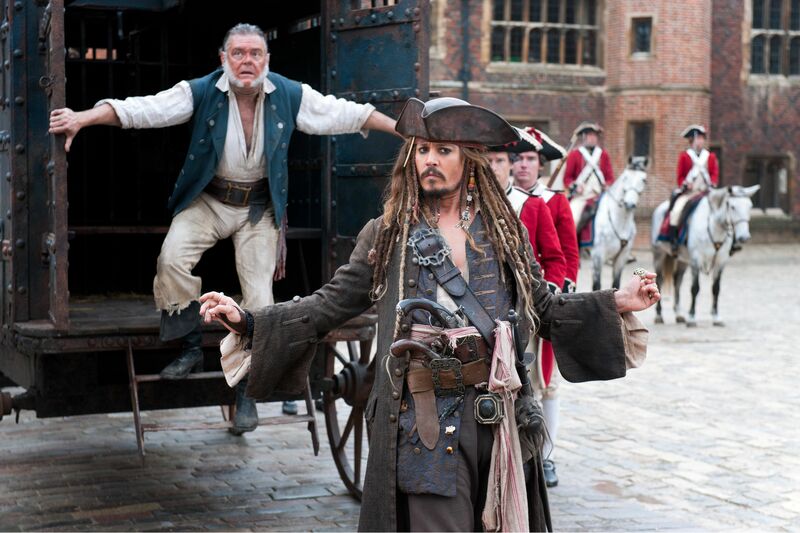 Geoffrey Rush is expected to reprise his role as Barbossa, while Ian McShane and Stephen Graham are also likely to return with Bloom and Keith Richards rumored to make cameos. Pirates of the Caribbean: Dead Men Tell No Tales opens in theaters on July 7, 2017.